Learn to Play Worship Guitar with Live Teachers on Skype. 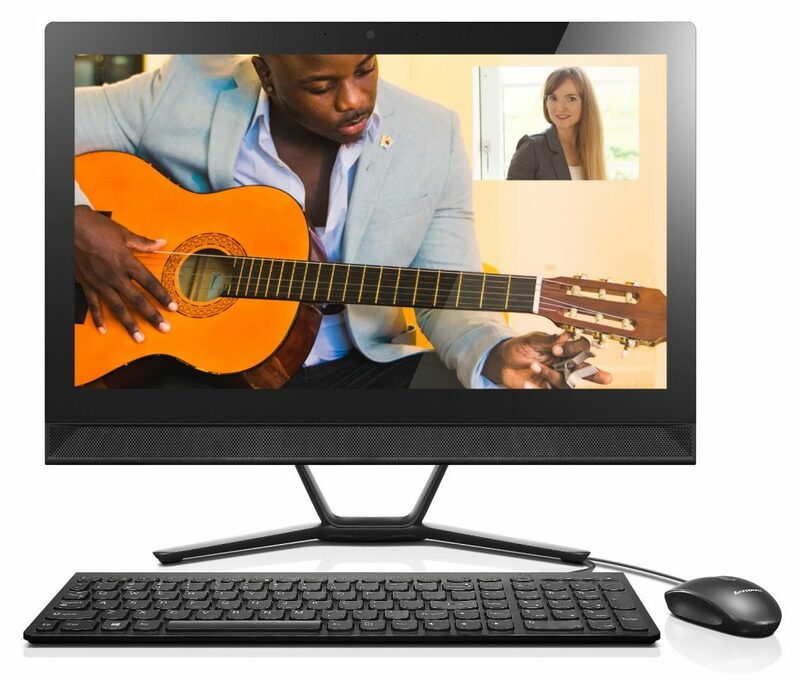 Why Take Christian Guitar Lessons on Skype? What are Christian guitar lessons? How are Worship Guitar Lessons different from your local guitar lessons? At Gentle Guitar™ online school we focus on teaching Christian and Worship songs. If you have a child or teen wanting to learn guitar, you can be sure the songs they learn will have Christian values. Non-Christian music teachers will teach rock and pop songs that might not have appropriate lyrics. We teach a popular and traditional selection of Praise and Worship Songs on acoustic guitar. Beginners and advanced students of all ages are welcome! Learning Christian guitar music on Skype is very effective. It works just like an in-person lesson only more convenient. If you don’t have a Christian guitar teacher near you, why not learn at home on Skype? Book a free sample lesson now! Over 10000+ LESSONS, 9 Countries, 7 YEARS OF RESULTS! 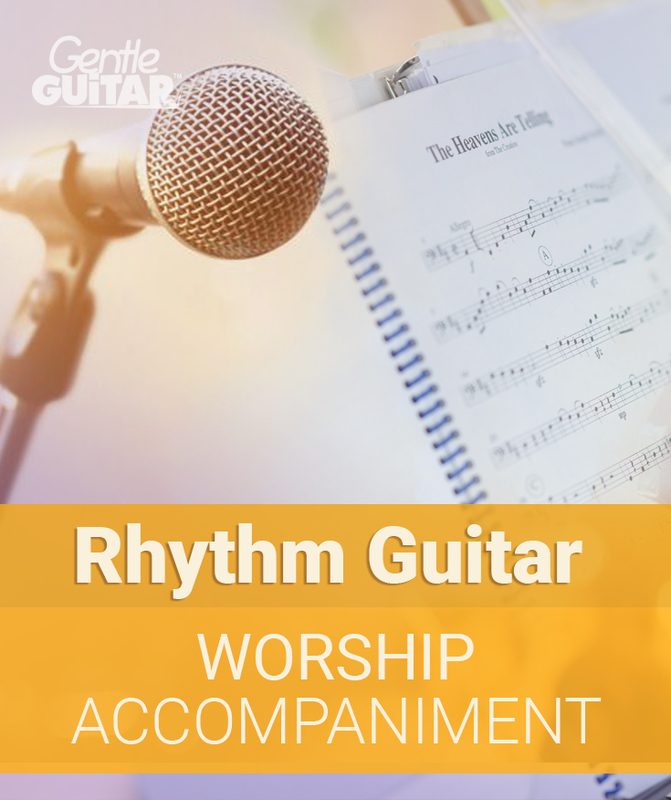 At Gentle Guitar™ we have a special Christian program for acoustic rhythm guitar. We will teach you how to play chords and popular strum patterns. To practice the guitar foundations that you will learn, you are encouraged to play songs and perform live. We teach a selection of Christian hymns and popular worship music on the guitar. To practice the technical foundations that you have learnt, you’ll play easy songs. We will help you build a repertoire of traditional and modern Praise and Worship songs that you can be proud of. You will also learn classical and popular fingerstyle techniques and useful finger-picking patterns. With technical foundations out of the way, you can pour your heart and soul into the music! At Gentle Guitar™ our teachers are specialists in music theory and classical and modern guitar techniques. 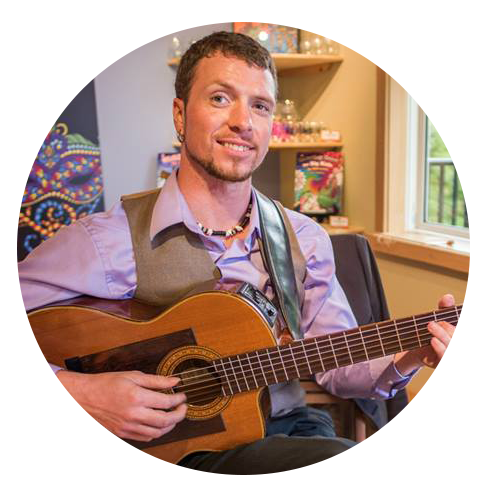 Our teachers are trained in the Gentle Guitar™ methods and are experts in working with kids and teens. We place importance on Christian values. We believe that when working with kids and teens, our teachers serve the important function of a role model. Lance was born and raised in the United Church of Canada, where his grandfather served as Minister. At the age of 12 Lance started to play guitar in worship service for the local Baptist Church. In Lance’s later teens and 20’s he played electric lead and acoustic rythm guitar for the Christian and Missionary Alliance Weekly youth groups. Also, performing 3 services each weekend for 700 person congregation. Lance’s playing incorporated different worship music styles. Contemporary Christian worship music, as well as traditional church hymns. Lance attended Bible College and University majoring in Music at Trinity Western University. Lance co-led, with Hear the Music ministries, two worship missionary trips to Eastern Europe and Asia. Lance has also been musically involved with Non-Denominational Christian Churches. Including the Anglican and Catholic traditions. When he’s not teaching or playing the guitar, Lance spends time with his family. 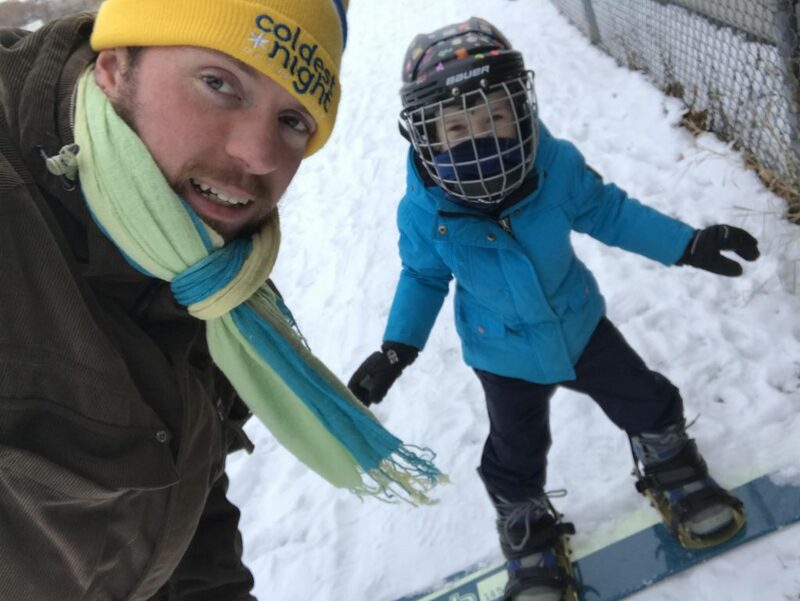 Raising four children, cheering at football and sports, and enjoying the outdoors, as well as wakeboarding, kayaking and playing hockey! Gentle Guitar™ is part of a large global Christian community. We work with Christian and homeschool families from around the world to enrich homes with Music Worship Education. Regardless of what local community you belong to, we are here to help with Guitar for Worship. We sponsor Music Worship programs around the world. Contact us to find out how we can sponsor your Youth Music program. Guitar is one of the most popular instruments for Praise and Worship. 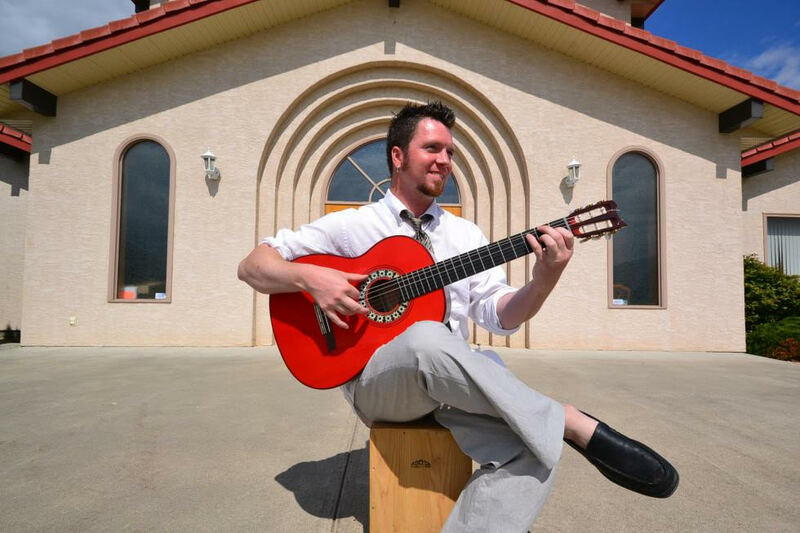 Many youth music programs have a shortage of local Christian guitar teachers. We offer our professional Christian Music tuition live via Skype to kids, teens and adults. It works like any private coaching in the comfort of your home. We have the experience to help Worship Leaders establish Youth Music programs. If your congregation has families with chidlren ages 5 to 16+, but no youth music program, you are missing out on a wonderful opportunity. We provide FREE consultations to worship leaders. Contact: ingahope@gmail.com to schedule a free meeting on Skype.